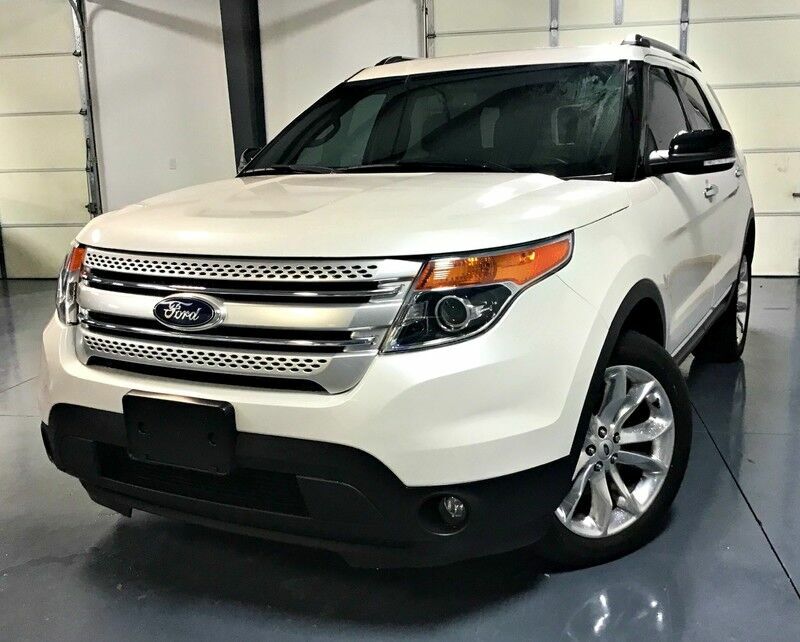 This 2015 Ford Explorer XLT is offered to you for sale by Direct Auto of Tennessee. This vehicle is loaded with great features, plus it comes with the CARFAX BuyBack Guarantee. Gone are the days of SUVs being the size of a tank and handling like one. This Ford Explorer is a perfect example of how SUVs have evolved into vehicles that are as refined as they are rugged. Simply put, this Four Wheel Drive is engineered with higher standards. Enjoy improved steering, superior acceleration, and increased stability and safety while driving this 4WD Ford Explorer XLT. With less than 28,754mi on this Ford Explorer, you'll appreciate the practically showroom newness of this vehicle. The interior of this Ford Explorer XLT has been through meticulous inspection and could almost pass for a brand new vehicle. Unexpected repairs happen on all vehicles, but this Ford Explorer comes with the protection of the manufacturer's warranty. Intricately stitched leather and ergonomic design seats are among the details in which test drivers say that Ford Explorer is in a league of its own With an efficient and easy to use navigation system, this Ford Explorer will help get you from Point A to Point B in no time flat. This Ford Explorer XLT was well-kept and pampered, which is evident by the flawless condition of its paint. More information about the 2015 Ford Explorer: The Ford Explorer has been rated one of the safest utility vehicles at any size or price; it's the first vehicle in the world to offer rear inflatable seatbelts. Curve control--a more advanced version of electronic stability control--is also a Ford exclusive. Ford's MyKey system helps parents reel in teen drivers. The Explorer also stands out for being one of the "greenest" choices available. Ford claims best-in-class gas mileage for non-hybrids and notes that the Explorer EcoBoost will go 20 percent farther on a gallon of gas than the Honda Pilot. This model sets itself apart with Quiet interior, good value, excellent ride quality, world-class safety features, and EcoBoost engine provides good mileage While we try to make sure that all prices posted here are accurate at all times, we cannot be responsible for typographical and other errors that may appear on the site. If the posted price for a vehicle or service is incorrect due to typographical or other error (e.g., data transmission), this dealership or [website provider] is only responsible for the correct price, which we will endeavor to provide to you as soon as we become aware of the error. We make every effort to provide you the most accurate, up-to-the-minute information, however it is your responsibility to verify with the Dealer that all details listed are accurate. Vehicle images and descriptions posted on our website pages are the representations provided by our suppliers. Please note that actual vehicle may differ slightly from specifications and/or the pictures. The dealership is not responsible for typographical, pricing, product information, advertising or shipping errors. Advertised prices and available quantities are subject to change without notice. In the event a vehicle is listed at an incorrect price due to typographical, photographic, or technical error or error in pricing information received from our suppliers, the dealership shall have the right to refuse or cancel any orders placed for vehicle listed at the incorrect price. Prices shown do not include state, city, and county tax, license, registration or tag fees and the cost of optional equipment selected by the purchaser. A $250.00 dealer documentation fee will also be added. Out of state buyers are responsible for all state, county, city taxes and fees, as well as title, licensing and registration fees in the state that the vehicle will be registered. All prices and offers include all incentives which the dealer retains unless otherwise specifically provided. Dealer not responsible for errors and omissions; all offers subject to change without notice, please confirm listings with dealer.